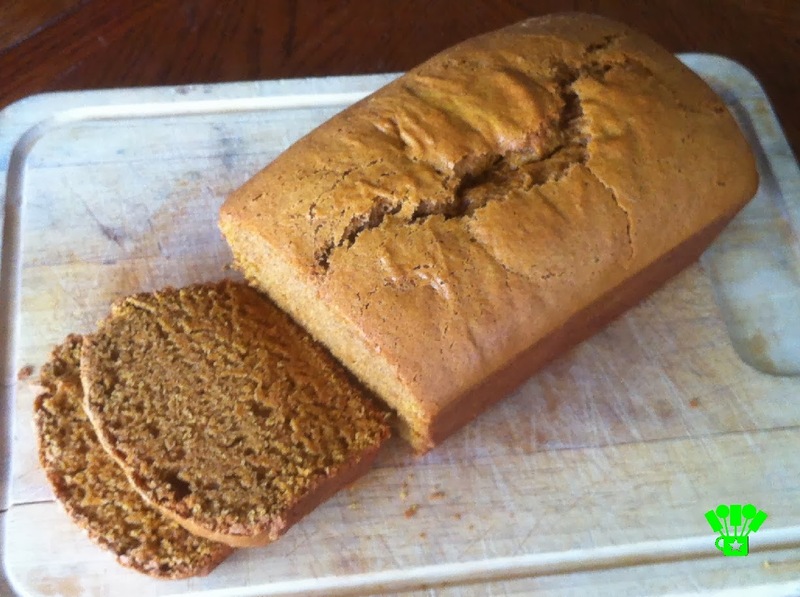 An easy and yummy pumpkin bread recipe that's perfect just out of the oven or the next day. One of my favorite things about the holiday season is all the baking. There's just something about the warmth of the oven heating up the kitchen and the smell of sweet treats wafting through the house. Put on some Christmas music with the snow falling outside and you have a perfect day. 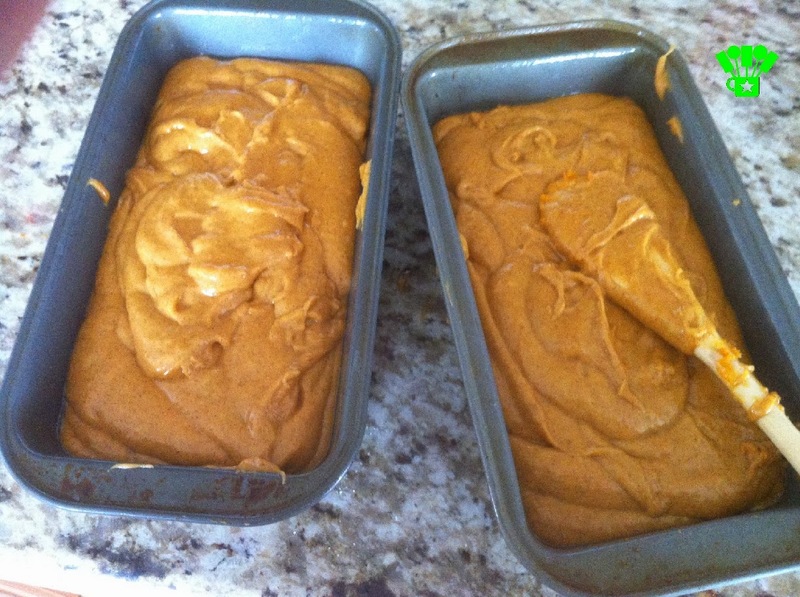 One of my favorite treats to make is Pumpkin Bread. I don't make regular bread, so the smell of the pumpkin in the oven just makes me happy. Then, a big slice of pumpkin bread with a smather of butter melting into the warm bread makes my tummy happy. And as far as bread goes, it's a really simple recipe to make. After all, it would have to be, since I can make it! 2 3/4 cup of regular sugar. Mix that in a large bowl until it's nice and smoothly blended. Once everything is mixed well, add to 2 bread loaf pans. Bake at 325 degrees for 1 hour and 10 minutes. If you're patient, you can allow the bread to cool before you enjoy, but we never are. We like it when the bread is warm and melts the butter into the bread. The first loaf never seems to make it to the cooling stage, but we also like it just as well when we come back and enjoy the second loaf the next day. It never seems to make it to the third day, so I'm not sure what it's like then! Do you enjoy pumpkin bread? What's your favorite treat to make at the holidays? 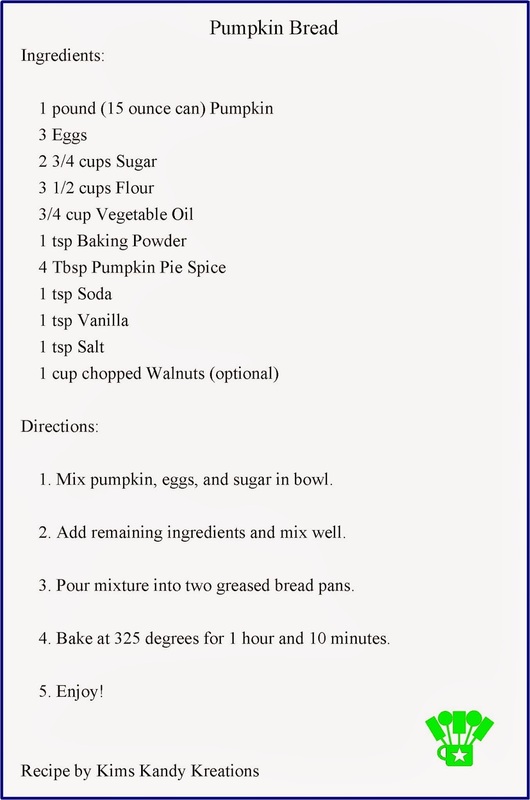 Here's the recipe if you want to try this! 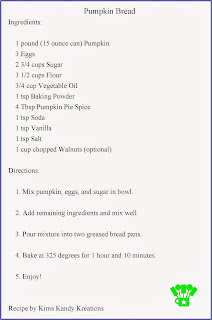 You can find the Pumpkin Pie Recipe Printable Version here. 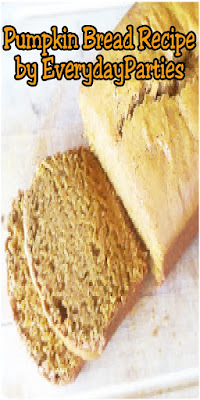 I love pumpkin bread. I've got to try your recipe. Thanks for sharing with us at our Thursday Favorite Things Blog Hop. Once I replenish my supply of eggs, I hope to make this! 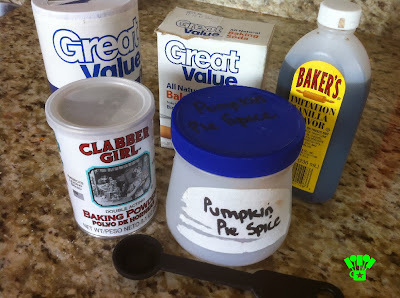 Today I'm making pumpkin pie though. Thanks for the recipe!